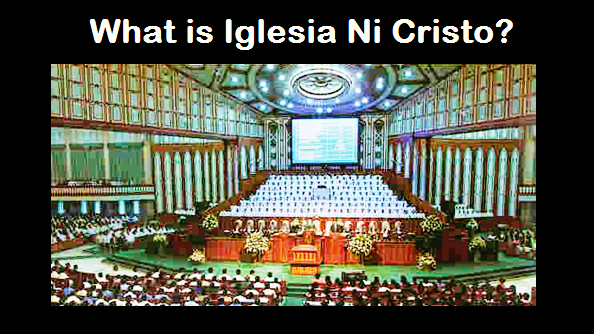 THE IGLESIA NI CRISTO: "Church Of Christ" Not A Religion? 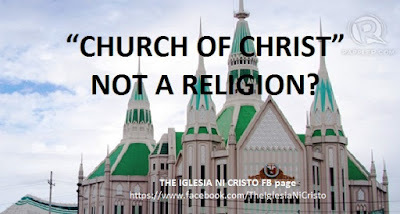 “CHURCH OF CHRIST” NOT A RELIGION? Because it is clearly written in the Bible that the Church is the religion of the apostles and the true Christians, thus, those who say that the Church is not a religion contradict the apostles and the teachings of the Bible. Because “religion” is about serving God and how people will be brought back to God, thus, TRUE RELIGION is true worship and service of the true God, and also TRUE RELIGION is bringing back men back to God. HENCH, IT IS A GRAVE ERROR TO SAY THAT THE CHURCH OF CHRIST IS NOT A RELIGION. THE CHURCH OF CHRIST TAUGHT BY THE BIBLE IS THE TRUE RELIGION. 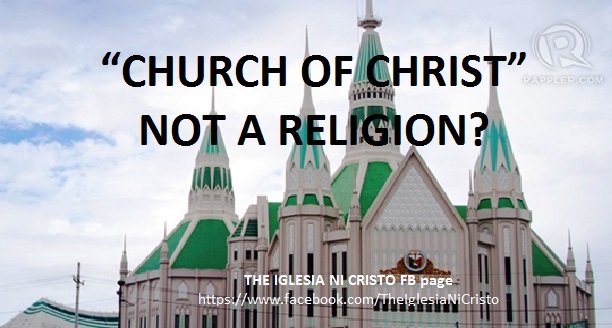 Thus, we are certain that those people or groups who say that “the Church of Christ is not a religion” is indeed not the true Church of Christ and not the true religion.